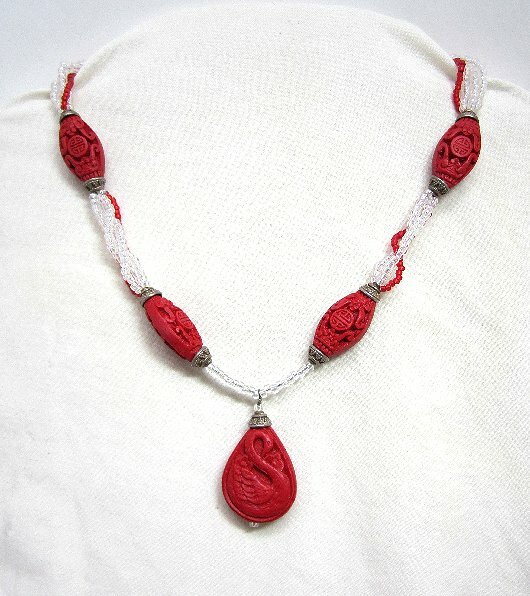 Strands of lustrous clear and red seed beads support beautifully carved cinnabar beads and pendant in this most feminine of beaded necklaces. 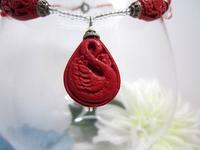 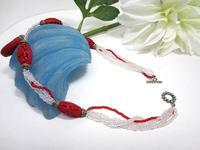 The cinnabar pendant is carved on both sides with a graceful swan, and drops about 1-1/2" below the 18" strand. Antiqued silver tone findings complete the luxurious look. 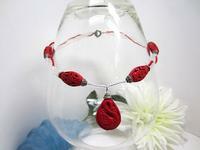 Put a little romance in your life with this beaded necklace from SPARKLE PLENTY.